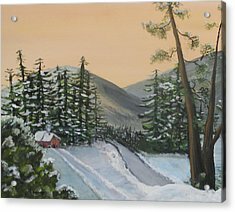 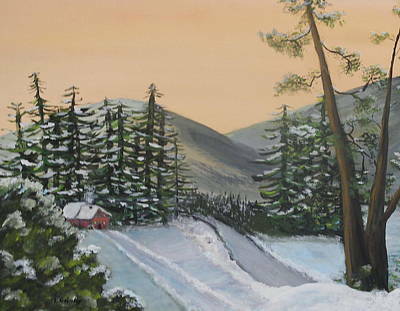 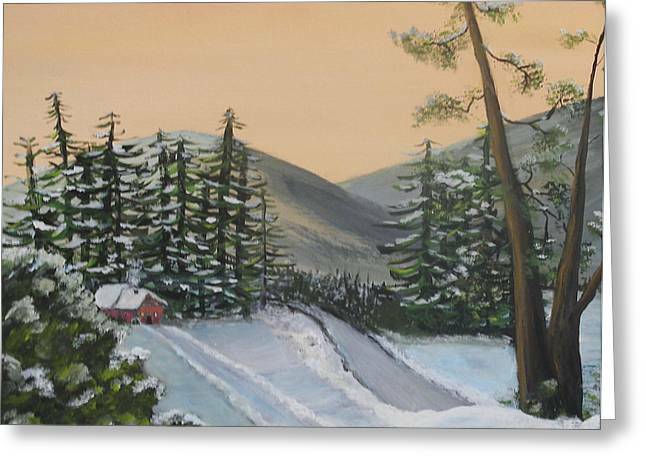 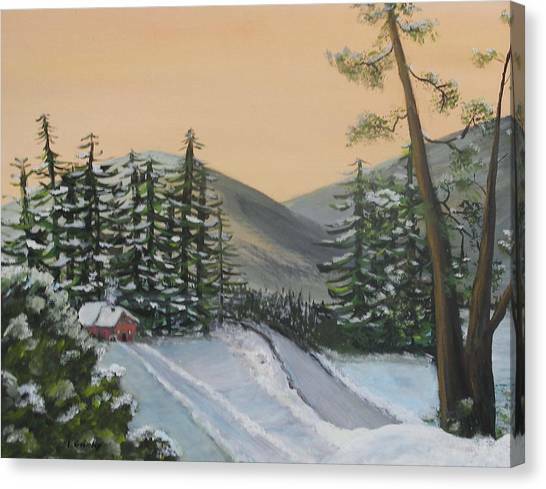 Winter is a painting by Lessandra Grimley which was uploaded on January 12th, 2010. This has to be one of my favorites, Lessandra. 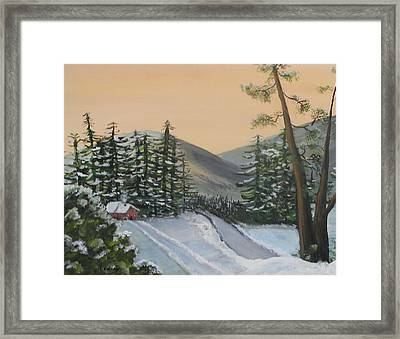 You have evoked the icey -cold, quiet feeling of the forest in winter, then given us the contrasting cozy warmth of this snug little mountain home.